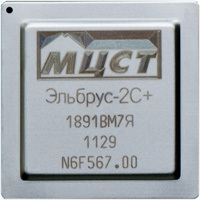 Elbrus-2C+ is a high performance hybrid microprocessor. It contains 2 Elbrus 2000 CPU cores and 4 ELVEES digital signal processor (DSP) cores. The main application for the Elbrus-2C+ microprocessor is digital signal processing, such as radar and image analysis. 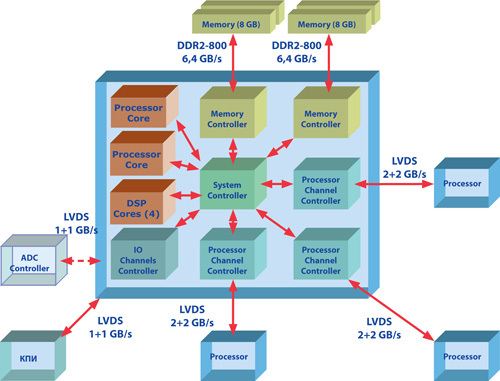 The microprocessor also has 3 channels for inter-processor communications in a multiprocessor system. Elbrus compilers provides code generation for the DSP cores which ensures effective communication between the main program running on the CPU cores and procedures for the DSP.